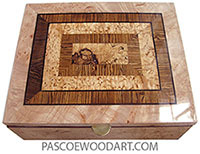 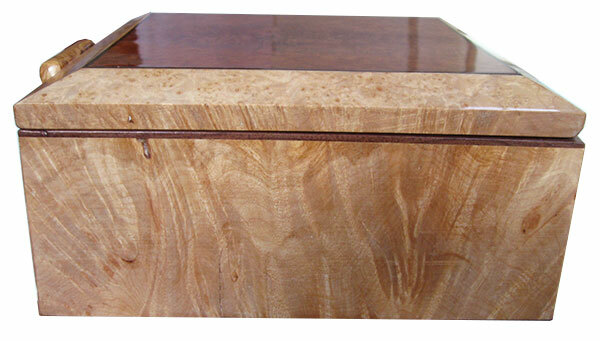 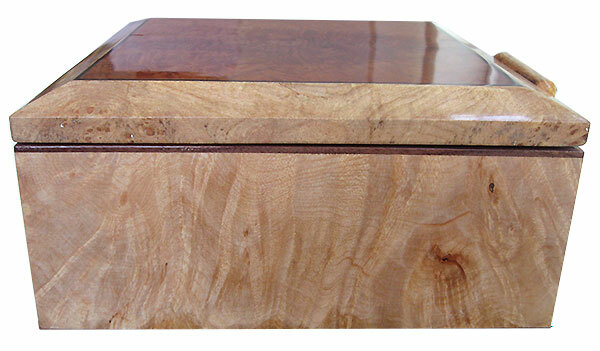 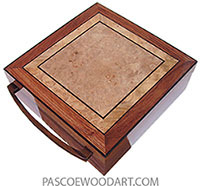 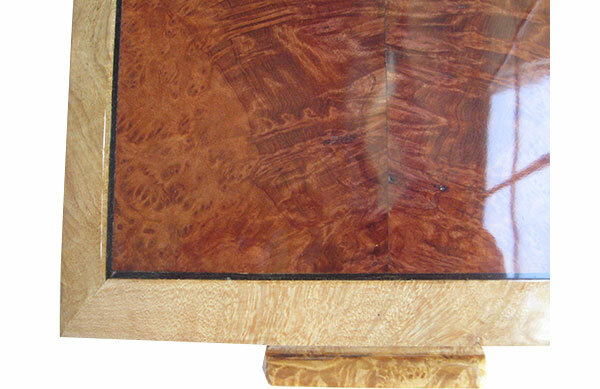 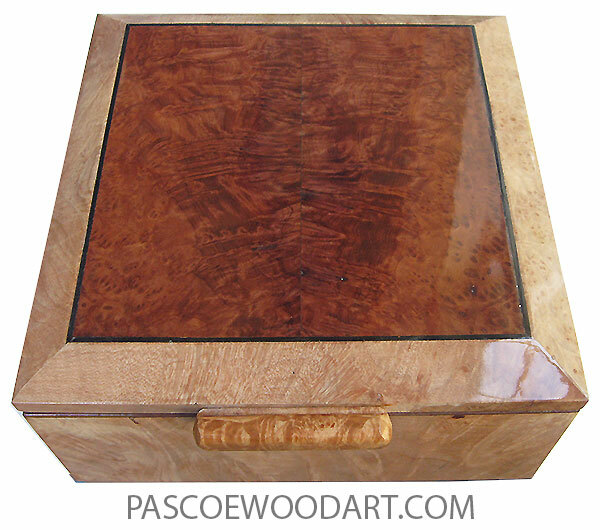 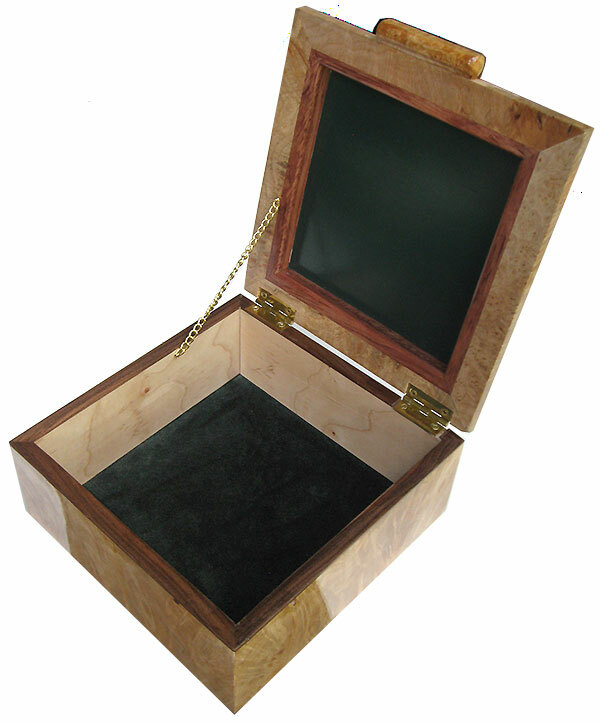 8-5/8" x 8-13/16" x 4"
This box is made of thick maple burl laminated over maple. 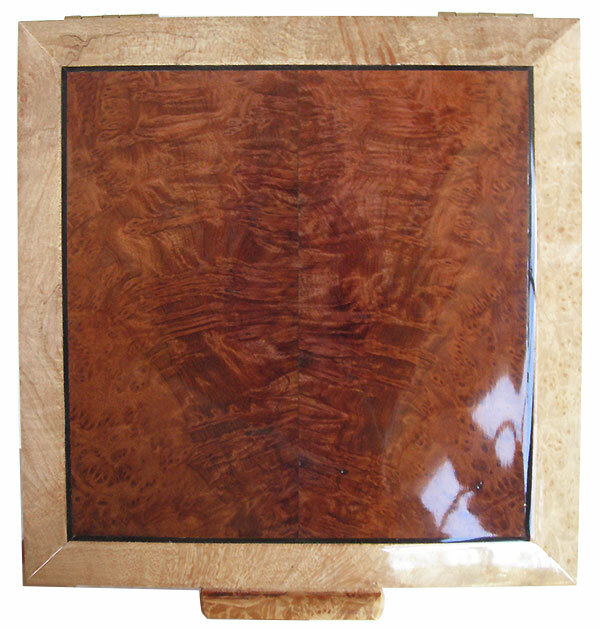 Veveled top is redwood burl center framed in maple burl with ebony string. 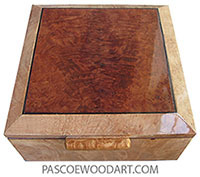 Last updated January 8, 2019. 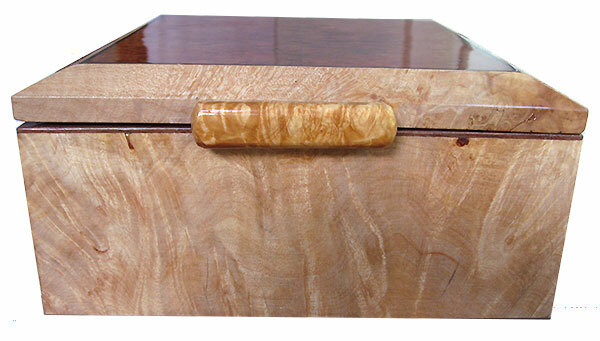 Posted August 14, 2016.